If you’re a fan of Hebanon Games, you know that I’ve been working on some lighter fare as a palette cleanser. It’s a board game that has really pushed my design chops, and it’s helped me stay fresh on RPG work. 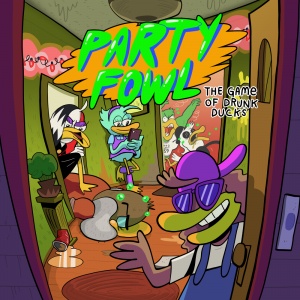 Well, Party Fowl: The Game of Drunk Ducks has arrived on Kickstarter. If you like Hebanon Games and would like to see our offerings expand, this a great way to do it and score a sweet board game in the process.